Confession: I quite possibly could be a bigger Avengers fan (especially Thor) than my husband & son (and they are HUGE fans)! It’s true. And before the May 1st release of “The Avengers: Age of Ultron” we are going to do an Avengers movie marathon watching them in this order: “Captain America: The First Avenger” “Iron Man” “The Incredible Hulk” “Iron Man 2” “Thor” “The Avengers”. I personally think this is the best order in which to watch them in. 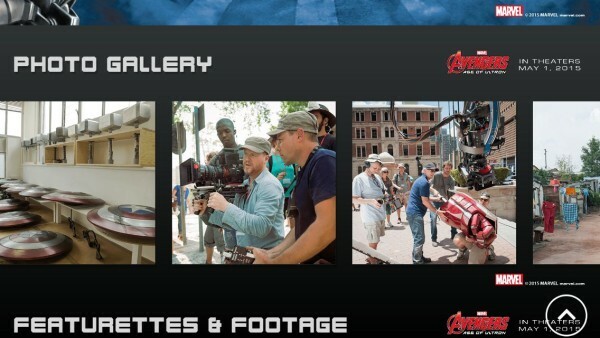 I so can’t wait for “The Avengers: Age of Ultron”! In preparation of our Avengers marathon I stopped by Walmart to get a few things and was happy to see all the Avengers products throughout the store. 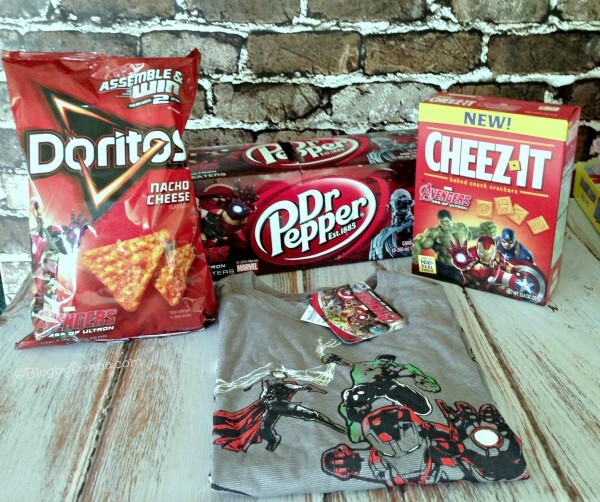 I have our snacks for our Avengers movie marathon! 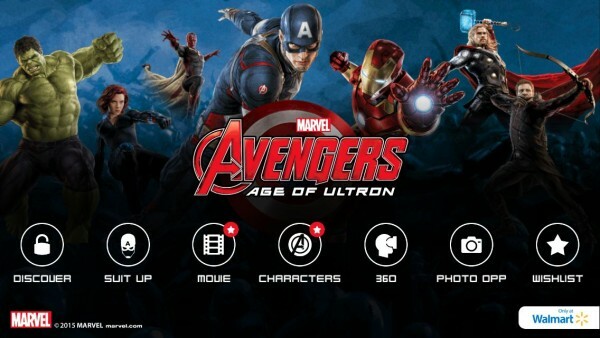 Oh, and there’s this really cool app called Super Heroes Assemble that’s available for iOS and Android devices. You really got to download this app because it allows you to scan certain signs and products to unlock action-packed fun while you’re shopping. This could be a great way to keep the kids happy while your shopping. Just saying. 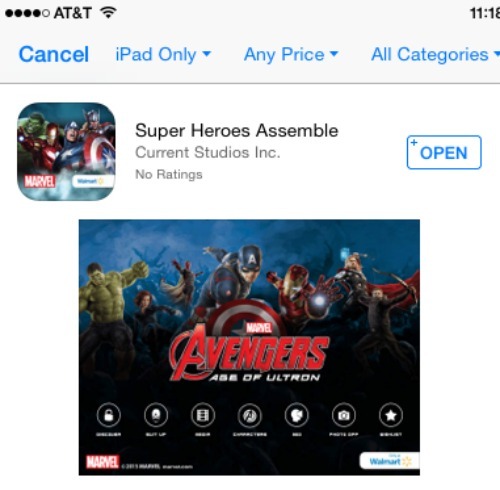 Just go to either the app store in iTunes if you have an iOS device (iPhone or iPad) or to Google Play store if you have an Android device and get the Super Heroes Assemble app (it’s free). Now the app is on your device. 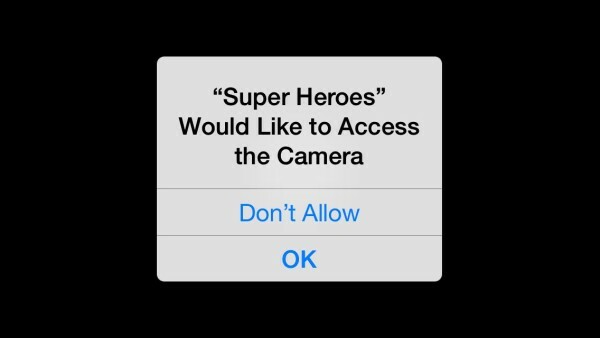 You will see a screen that asks you to allow access to your camera. Tap/Click “OK”. The app will need your camera to get the most out of this app. 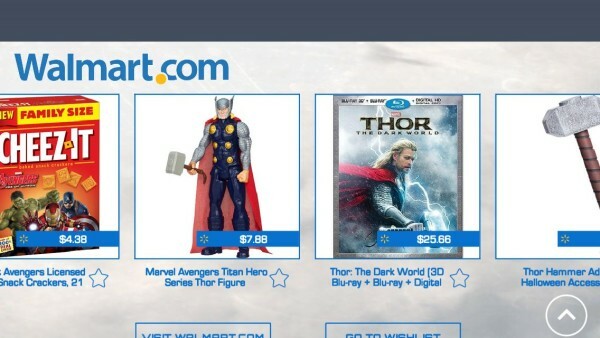 You can tap on “Discover” to find images that you need to find at Walmart stores (or at walmart.com/avengers) to unlock a character. 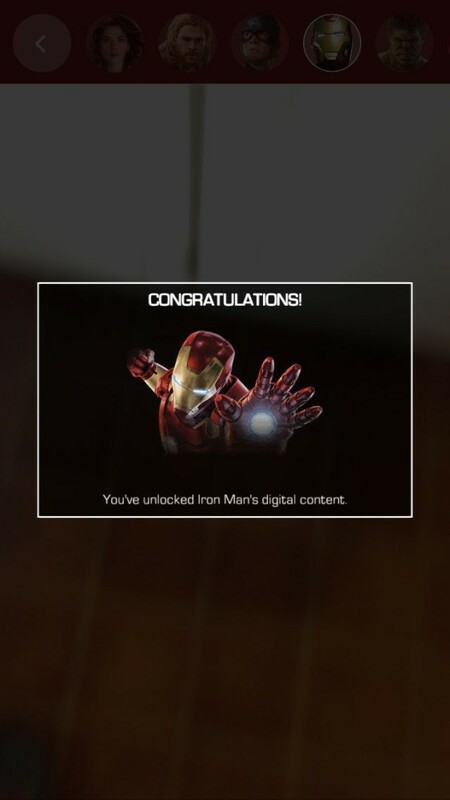 I clicked on an image that unlocked Iron Man. Tap on “Suit-Up” and take a pic of your kids or a selfie and add a suit or weapon, etc. to your photo. 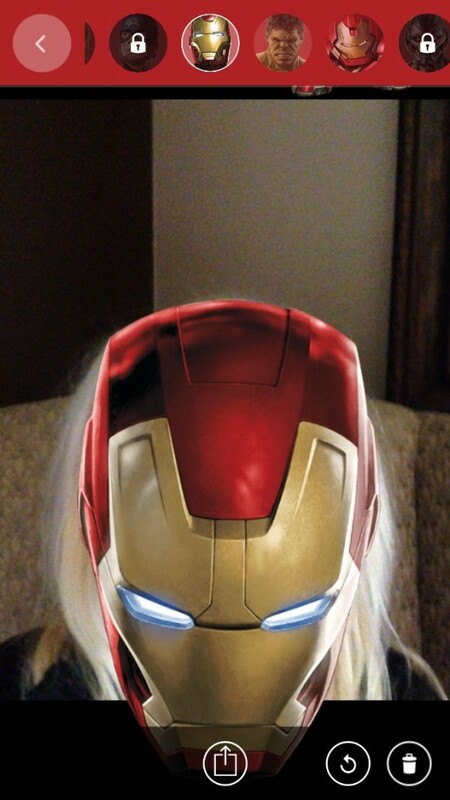 That’s me as Iron Man. I think I should have pulled my hair back. 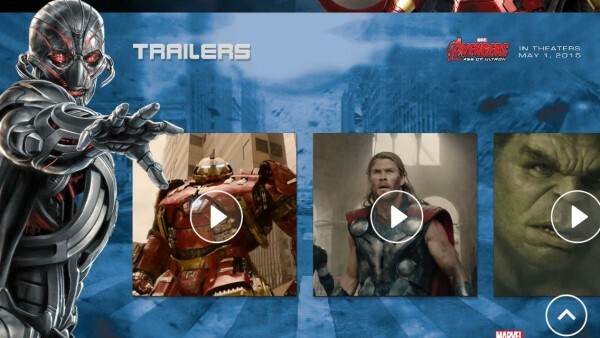 If you tap on “Movie”, you can stay up-to-date on the latest teasers and content from Avengers: Age of Ultron. 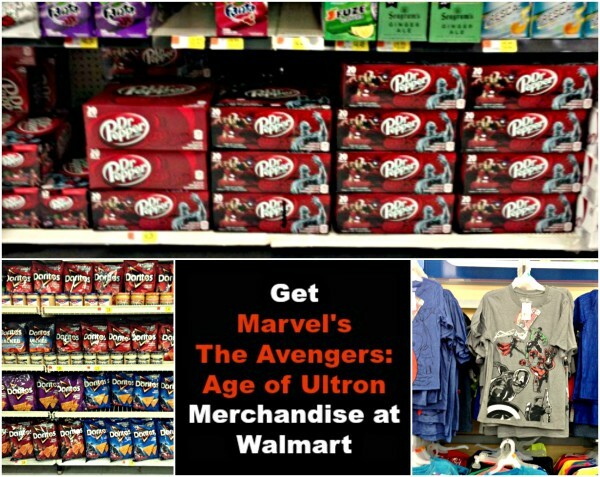 You can watch trailers, look through the photo gallery, watch featurettes and footage, and visit Walmart.com to shop all the latest Marvel Avengers: Age of Ultron products. 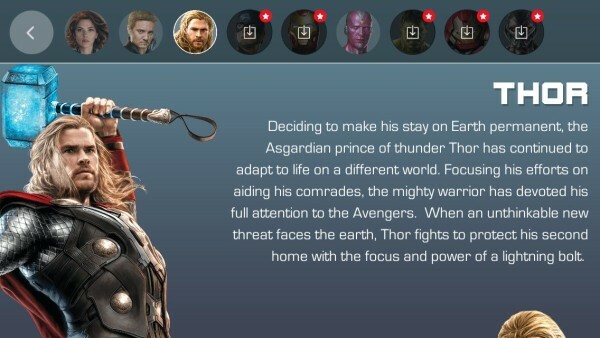 Tap on “Characters” to learn about the Avenger characters you love. Like my man Thor. 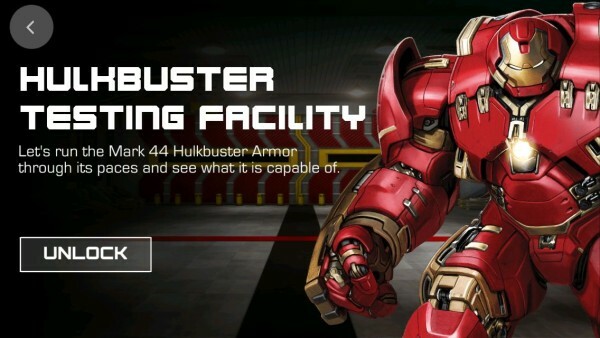 If you tap on “360” you can check out the Hulkbuster Testing Facility. My son wants to unlock and play it tonight. He is enjoying this app a lot, by the way. 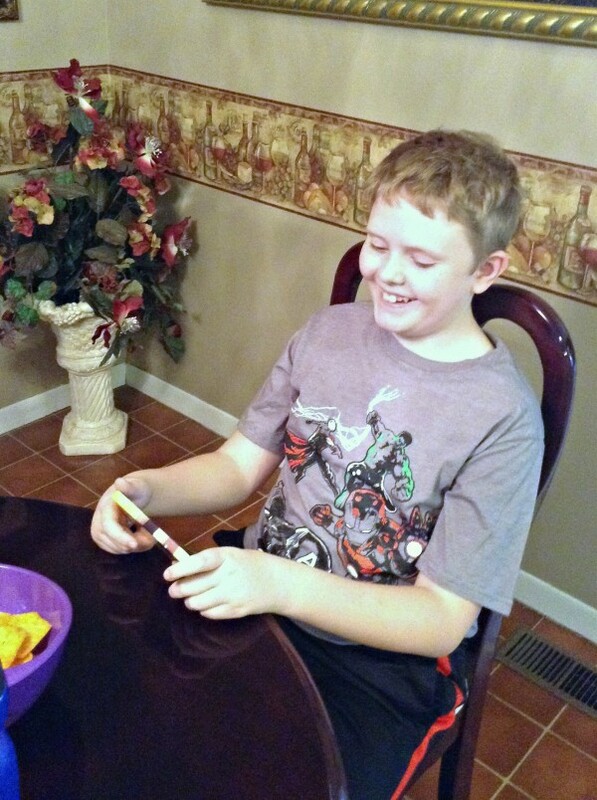 Tap on my favorite feature, “Photo Opp”. 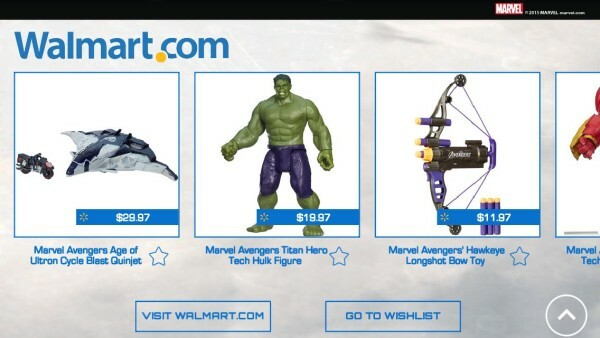 There will be an image on your screen that you will need to go to Walmart or walmart.com/avengers to scan. Once you do you unlock a photo (in 3D) of a character. I, of course, unlocked my man Thor. Now, I may or may not have looked at Thor standing right in front of me for a long time. Sigh. I talked to him and told him how much I was looking forward to seeing him in The Avengers: Age of Ultron on May 1st. And I am! Finally, you can tap on “WishList”. Choose a character and it will bring up Walmart products for that character. I know you’re going to be surprised, but I chose… my man Thor. 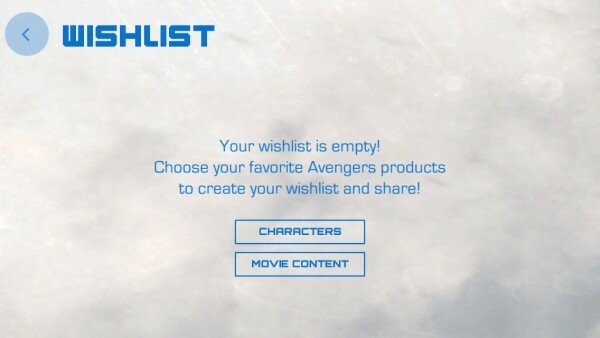 Then I can choose whatever Marvel branded item I want and add it to my wishlist. This will be useful for me when my son adds to his wishlist. 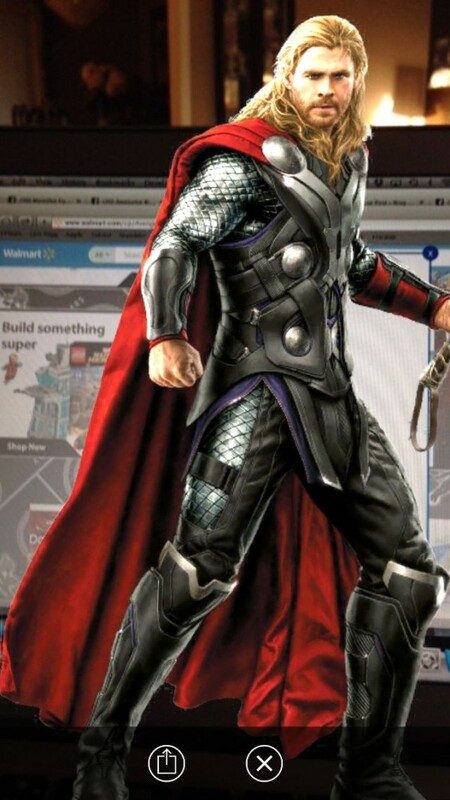 I think you’ll enjoy the Super Heroes Assemble app and it really will make shopping at Walmart fun. My son said it’s like an Avengers scavenger hunt at Walmart. My son even took it away from me last night and did say he wanted to go to Walmart over the weekend to try it out for himself. I think the Super Heroes Assemble app, our Avenger branded goodies from Walmart, and our Avengers movie marathon, I’ll be okay until The Avengers: Age of Ultron opens in theaters on May 1st. Who is your favorite Marvel Avengers character (mine’s Thor) and or movie? My kid is also captured by this app recently. We are huge Marvel fans and.plan on having a movie marathon tomorrow. I will make sure I pick up some of these great snacks. 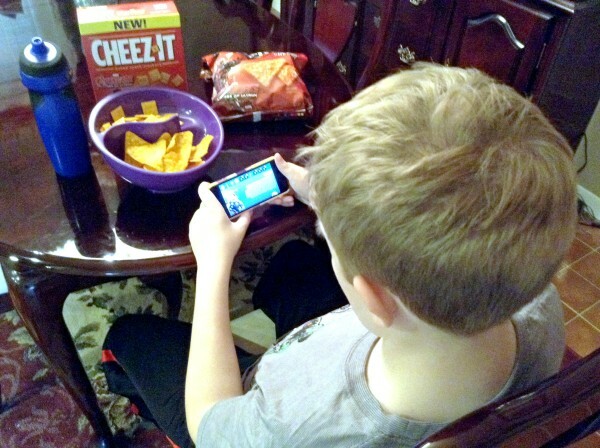 Good snacks are always great to compliment a fun app. My son would have a blast with the Photo Opp portion. This app looks really cool! I’m going to tell my kids about it – I know they will love it! That app looks awesome.! We haven’t gotten into the avengers yet but I know my oldest has been asking to see it! So I’m sure soon we will! I love the Avengers! Heck, I love just about anything Marvel puts out! I can’t wait for the next Avengers movie! And the app look super cool! Wow, sounds like it’s going to be a fun, snack-filled night! Can’t say that I’m a big Avengers fan – actually I don’t know much about the franchise at all. With two girls, my world is usually all about barbies and princesses, lol! This app looks really cool, I’m sure my kids will love it. 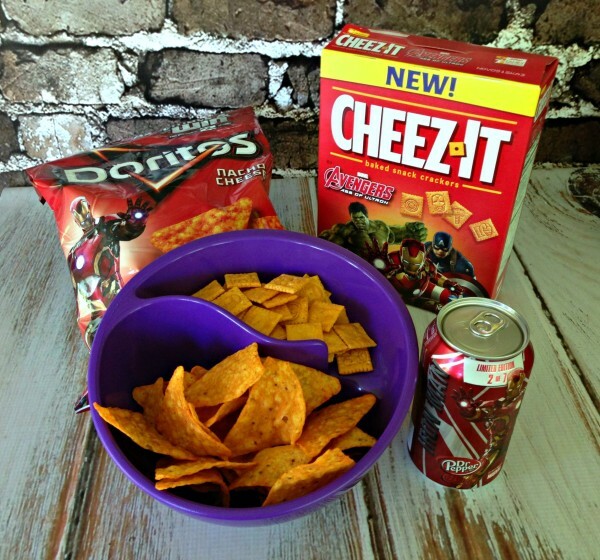 These snacks will be great for watching the first movie at home before we go see the second one in theaters. I <3 Thor. Chris Hemsworth fits the role perfectly. My husband has been a Captain America fan since he was still in diapers. We have enough Captain stuff to fill a small retail store. We love everything Avengers and can’t wait for the movie! Your marathon sounds awesome!!!! That’s awesome. This is one of my most anticipated movies of the year for sure! I can’t wait for it to come out!